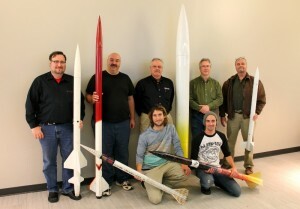 New River Valley Rocketry is a Low, Medium and High Power rocket club here in Blacksburg VA, nestled in the hills of S.Western VA. In short, we’re just, “a bunch of guys and gals who want to launch rockets”. Our mission is to provide a safe, regular venue for rocket launches, offer help to those wanting to pursue high power rocket certifications, while educating and fostering activities in related STEM fields of study that our community and country so desperately need. Safety is our first priority and all of our launches are insured through our parent organization Tripoli Rocketry Association. We will not hold a launch if the safety and legal requirements of our parent TRA organization can not be met. As a TRA prefecture our club pays annual dues to the TRA for this coverage, which makes our launches possible and keeps them safe and “risk free”. We do not charge “launch fees” at our launches to offset our TRA dues and other launch costs, and so to pay for these necessities we do encourage frequent rocketeers to contribute to the club by joining NRV Rocketry and paying annual membership dues, thus keeping our insurance coverage active and our hobby alive in the New Rivery Valley. We also encourage fliers to join the parent TRA oranization by becoming an annual/renewing member with them also. This not only supports our parent organization, but also is a prerequisite for seeking High Power certifications (level-1, 2 and 3), required to be able to purchase high power rocket motors from motor vendors. Interested in our mission? If so, then consider supporting NRV Rocketry by joining and becoming a member! NRV Rocketry membership is by calendar year, from Jan 1st (or enroll date) to December 31st. Access to other, upcoming NRVR website resources. Annual membership dues are not prorated and are not refundable. -NRVR is not a registered non-profit and as such, regular membership dues can not normally be considered a tax write-off.. However NRVR does entertain corporate sponsorships for exchange of services (e.g. web advertising), which may be a write off for some businesses.